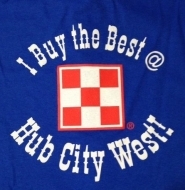 Visit Hub City West Farm & Garden today to choose from the finest selection of quality Western wear in the state. Our staff is backed by more than 75 years of experience, so you know you can count on us to provide you with quality products and services every time. Visit our clothing store in Hattiesburg, Mississippi to select from a wide variety of Western wear. We are a family-owned and operated feed, tack and clothing store that has been supplying the Hattiesburg area with quality merchandise since 1932. Our store is conveniently located on Pioneer Drive right off of Highway 98W, so feel free to stop by today and check out our inventory for yourself. Contact us at any time to request more information about our store.